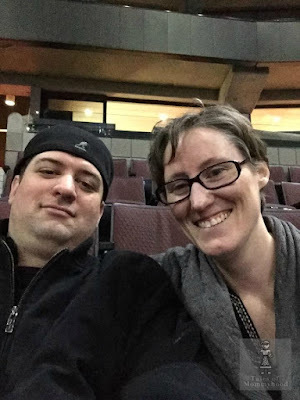 The following is a guest post by my friend Randa - read on to find out more about her and the experience she had with Ronald McDonald House® . We are fortunate that we live close to our local Children's Hospital, so we didn't need the services of Ronald McDonald House® - however, there are many families that DO need to use the wonderful facilities. This isn't your typical gust post. I'm calling for help and support. My name is Randa and I'm raising money for the Ronald McDonald House® Central Alberta. My husband and I called the House home back in March when I had my son six weeks and a day early. If it wasn't for the house I would have further physically and mentally drained. I wouldn't have been able to be with him, in the NICU, sixteen to eighteen hours a day; and I'm certain that we wouldn't have been able to come home as soon as a month after his birth. The day he was discharged, at RMH for dinner and Bingo! A lot of people associate the Ronald McDonald House® with the McDonald's restaurants. The House is not owned or operated by McDonald's. They do contribute approximately 10% each year to the annual budget. The House is actually ran by amazing staff and volunteers, 24 hours a day. Volunteers are everywhere. They clean, check you in, come in and bake some amazing treats. There are also volunteer groups that will come in and do delicious dinners. I cannot forget about the people who come in and volunteer their time hosting scrap-booking and card-making classes, Rooster the dog, hosting yoga classes and much MUCH more. To keep costs down at The House the guests are to clean up after themselves, do their laundry and when it is time to check it they wash their linens, tidy, and sweep and mop their room. I liked this, it kept me in a routine. Similar to one I would have at home (just not as much). This campaign ends on October 31. Unless I have a large order at the end of September, I will submit the order then and the customer will receive product within the first two weeks of November. If I receive an order from out of the Red Deer/Drumheller/Camrose/Edmonton area, I will submit the order that week. I will send you an order form and you can take it to your work, to your friends or go door to door with the kids while on your walk. Get their information, what pack they want, how many and if they are paying by cash or cheque. You will then e-mail the info, send the money VIA EMT or PayPal. During the month of October 50% of my sales will be donated to the House. You can shop at http://mysteepedtea.com/randaderkson. OR if you order this month, just leave RMH in the comments and I will put 50% aside. Or you can always find out more at my blog, The Bewitchin' Kitchen. That is such a great cause. 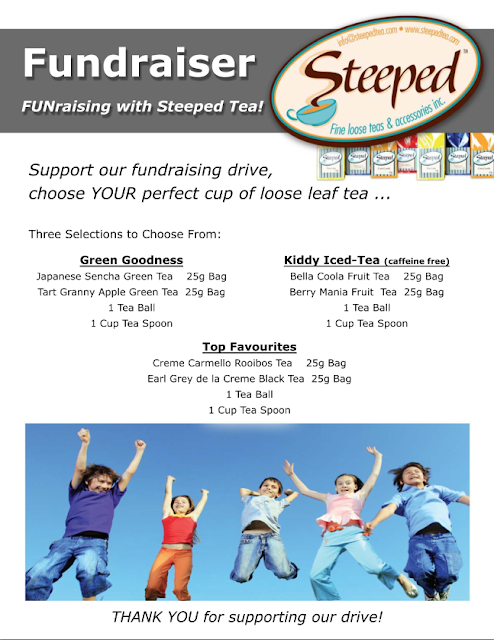 I love Ronald McDonald House & Steeped Tea! I love the Ronald McDonald House and what it stands for. I'm off to check out the Steeped Tea site! I love the Ronald McDonald House and all the families it has helped. I know it has helped family members in our family while their child was going through cancer treatment. Steeped Tea has such a fabulous collection of items! WOW what an amazing place! Thank you for sharing! I wish you and your wee one all the best and so glad the house was their for you! I just learned so much about the RMH that I did not know. We are so lucky to have one in our local community. Thank you for all you are doing to raise awareness and much needed funds. As someone who had a Preemie born 3 months early, I can totally relate to this post. While little one was in the NICU for 70 days, it was good to know that RMH was just around the corner from Mt. Sinai.